A world of possibilities await visitors to San Francisco this summer, from navigating the legendary culinary scene, diving into diverse neighborhood festivals, experiencing live music or events to commemorate the 75th anniversary of the Golden Gate Bridge. To help visitors make the most of their days and nights in the city, the San Francisco Travel Association has launched a guide to “49 Hours of SF” at www.sanfrancisco.travel/49hours. A “build your own itinerary” tool on the site allows visitors to select items from each of the itineraries and build their own 49 hour excursions, which can be shared via Facebook, Twitter or email. “49 Hours of SF” hotel packages, which can be booked on the website, include amenities such as free parking or breakfast. In honor of the Golden Gate Bridge’s 75th anniversary, American Express has a special hotel offer through September 30, 2012. Visitors who book their hotel stay with any American Express Card will receive a $75 Westfield Gift Card. The History Buff – The 75th anniversary of the Golden Gate Bridge was marked on May 27 at the Golden Gate Festival and there are tributes and celebrations across the city throughout the year. There are permanent improvements to the way visitors experience the bridge, such as a new pavilion at the south end of the bridge, improved shopping and dining options and guided tours of the bridge by day and night. The Escapist – Shake off the everyday with this collection of unique experiences – Blue & Gold bay cruises, Hiking Yoga tours, Bay Trek hikes, RocketBoat rides and more. For the first time in 14 years, the U.S. Open Championship will bring the world’s best golfers to the historic Olympic Club on June 11-17. The America’s Cup sailing regatta is returning to the United States for the first time since 1995, pulling in to San Francisco for the World Series Races on August 21 – 26. 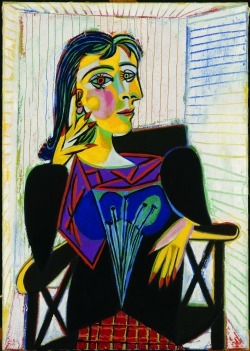 See a Picasso at the deYoungThe Culture Seeker – The San Francisco CityPASS opens the doors to the city’s best museums, including admissions to the California Academy of Sciences, Aquarium of the Bay, San Francisco Museum of Modern Art (SFMOMA), the Exploratorium, the deYoung and Legion of Honor fine arts museums. The Stern Grove Festival, admission-free since 1938, celebrates its 75th anniversary this summer with a season of top outdoor musical performances. The Shop-a-holic – Retail therapy is everywhere in this city, including places like PIER 39, Westfield San Francisco Centre, Gump’s department store – a San Francisco institution since 1861. Discover unique boutiques like Urban Bazaar, Alexander Book Company, the Levi’s Plaza Store, Favor (featuring Hotcakes Designs), Rickshaw Bags, Amoeba Music and Swankety Swank. For inspiration, “The Fashion World of Jean Paul Gaultier: From the Sidewalk to the Catwalk” at the deYoung Museum (through August 19) is truly a work of art. The Day Tripper – San Francisco is the perfect base camp for exploring “Beyond the Bridge” to California’s upper half. Venture out to California’s Great America theme park, the intriguing Winchester Mystery House in San Jose, the East Bay communities of Oakland, Berkeley and beyond. Head south to Pacifica, Half Moon Bay and Santa Cruz and stop at Roaring Camp & Big Trees Railroad on the way to Monterey, Carmel and Pebble Beach. Head north to the famous Wine Country and Mendocino, or east to historic Sacramento, dramatic Yosemite National Park and Mariposa County or cool, clear Lake Tahoe. The Fun Seeker – Find your smile again at places like the Exploratorium, the Bay Area Discovery Museum, the Children’s Creativity Museum, House of Air (indoor trampoline park) and the little-known Seward Street Slides. Relive happy days on the Magic Bus tour and at the Walt Disney Family Museum. After dark, giggle your way through “Beach Blanket Babylon” and the Tonga Room & Hurricane Bar inside the Fairmont Hotel. 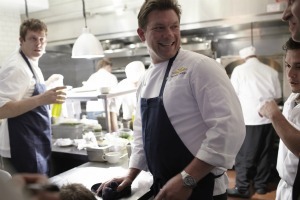 TV's Tyler Florence cooks at WAYFARE. 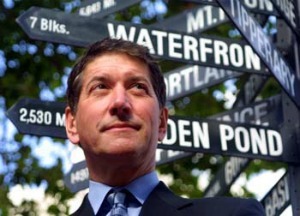 The Foodie – Everyone who eats is a foodie in San Francisco. Start the day at the Ferry Building Farmers Market on Saturday (or the Marketplace inside anytime), walk down the Embarcadero to Tcho Chocolates, then head up to Chinatown to see the Golden Gate Fortune Cookie Factory. Gourmet Walks and Grub Crawl offer food explorations on foot. Come during a great food event--SF Chefs, July 30-Aug. 5--to be part of the culinary in-crowd. Grab some fresh Boudin sourdough bread and dip it in We Olive’s golden oil, followed by See’s Candies, a California classic. The Shutterbug – What better souvenir of a trip to San Francisco than photography? This itinerary highlights some of the most scenic spots in the area. Look toward the skyline from the Marin Headlands, Horseshoe Bay, Treasure Island and Twin Peaks. Find nature in the midst of the city in Golden Gate Park, get a look at art and architecture at Coit Tower, the Legion of Honor, the Palace of Fine Arts and Alamo Square. And find an “only in San Francisco” shot of the cable cars and Chinatown. By entering a specific travel date and event interests, visitors can also see a list of arts and culture special events taking place over the 49 hours they’re in San Francisco, which are also outlined by location on a map, making exploration even easier. To create additional buzz around the program, San Francisco Travel has launched a contest using Instagram, the popular photo sharing application. Visitors and locals who tag their Instagram photos #49hoursofSF have the opportunity for their photos to be featured in the campaign, and will be entered to win a “Stay & Play in SF” package including a two-night stay at the San Francisco Marriott Marquis, $100 dining certificate, two CityPASS Booklets, two tickets on RocketBoat and two passes to the Wax Museum at Fisherman's Wharf. The number 49 has long had special significance for San Francisco. The city’s population exploded with the Gold Rush of 1949. The city itself measures 49 square miles (or “49 square miles surrounded by reality,” as one luminary once said). Motorists can tour the city on the 49 Mile Scenic Drive. And don’t forget that famous football team with 49 in the name. Editor's note: Links to websites of hundreds of San Francisco & Bay Area lodging and dining options can be found in Taste California Travel's Resource Directory. Aside from good food, nothing pairs with wine better than spectacular scenery. Wine lovers will get that perfect pairing this summer when they combine one of California’s 25 beautiful national parks with a nearby iconic wine country experience. 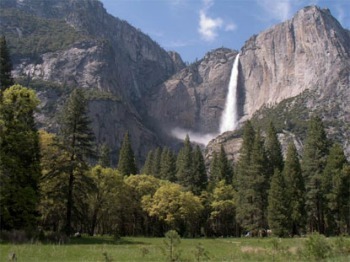 Yosemite Falls and Cooke Meadow in early MayWith dozens of diverse wine regions and even more grape varieties across the Golden State, wine lovers can savor their favorite wines and explore new ones on their way to and from great parks from Yosemite in the High Sierra down to Joshua Tree in the desert. Like the stewards of California’s unique national parks, winemakers and growers also feel a deep connection to the land, making California a world leader in sustainable winegrowing – and making it easy for eco-minded travelers to find the perfect wine to complement their journey. While in wine country, outdoor enthusiasts should make time to add an inspiring hike, bike ride or picnic in a stunning vineyard or valley. Or take it all in with a bird’s eye view on a sunrise hot air balloon ride followed by brunch with your favorite local wines. Below are some great wine regions to experience as part of a trip to some of California’s leading national parks. Home to the world's tallest trees, these coastal redwood parks inspire visions of mist-laden primeval forests bordering crystal-clear streams. A perfect way to break up the drive and stay overnight is in picturesque and historic Mendocino, a great jumping point to the Mendocino County Wine Region. 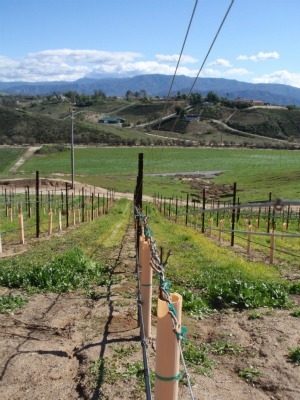 The county, which boasts a high percentage of acres farmed by sustainable, organic or biodynamic disciplines, grows a wide variety of winegrapes. If you’re a Pinot Noir lover, don’t miss the Anderson Valley Pinot Noir Celebration on Sept. 7, where you can taste wines and meet the winemakers from 25 outstanding wineries, located at the Little River Inn overlooking Pacific Ocean. 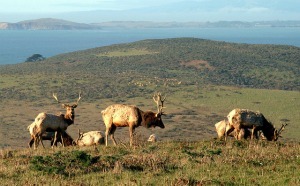 Tule Elk at Pt. Reyes are just a half-hour drive from Sonoma County vineyards. One of the lesser-known but incredibly scenic parks, Point Reyes National Seashore is an easy 90-minute drive north of San Francisco, just south of the quaint town of Occidental and the dramatically beautiful Sonoma County Wine Region. Take the famous Highway 1 along the coast to this park, featuring thunderous ocean breakers crashing against rocky headlands and expansive sand beaches. Sonoma has many distinctions, but here’s one to note: it grows more Pinot Noir than any other county in the state. Gourmet farm and vineyard dinners are common here—a fitting expression of the area’s great wine, homegrown culinary culture and love of the great outdoors. This June 9-10, don’t miss the Russian River Valley Passport to Pinot Weekend, featuring barrel tastings at nearly 30 wineries, as well as amazing food pairings, artist demonstrations, vineyard tours and entertainment. The place to be for wine lovers on Labor Day Weekend is the Sonoma Wine Country Weekend, featuring more than 200 world-class wineries and chefs showcasing their talents at stylish winemaker lunches and dinners, a show-stopping Taste of Sonoma event as well as the hugely popular Sonoma Valley Harvest Wine Auction. One of the most celebrated redwood tree parks in the world, Muir Woods, a mere half hour north of San Francisco and an hour to the legendary Napa Valley Wine Region, was once declared by John Muir as the "best tree-lovers’ monument that could possibly be found in all the forests of the world." Reward yourself after a hearty stroll in this nature preserve with a day or two in another natural wonderland: the Napa Valley. Recognized on the global stage at the Judgment of Paris in 1976, Napa Valley’s world-renowned wines have found an equal match in the region’s cuisine. If in town July 13-22, meander to the 7th Annual Napa Valley Festival Del Sole, an event the New York Times calls a “feast for the senses.” Featuring world-class artistry, gourmet cuisine, fine wines and lifestyle programs this 10-day experience celebrates the art of life. This 800,000-acre national forest just east of Sacramento offers outstanding recreation year-round including hiking, camping, skiing and nearby Lake Tahoe. 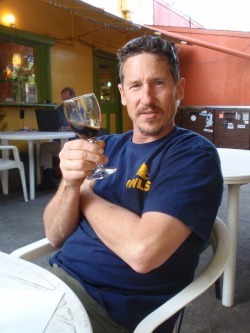 Pairing it with a visit to the Sierra Foothills Wine Region makes the trip even more special for wine lovers. Check out Amador, Calaveras, El Dorado, Nevada and Placer counties. Nestled in the heart of California’s storied Gold Country, the regions are known for their rich history and rich reds. This June 23-24 check out the 16th Annual Passport "Wine" Weekend, featuring gourmet foods, entertainment and special discounts at 23 Calaveras County wineries/ tasting rooms. On the way to Tahoe, you can also stop by the Lodi Wine Region, home to 80 wineries and an area known for Zinfandel. Yosemite and Sequoia & Kings Canyon National Parks and Madera County/FresnoFeatured on many bucket lists, Yosemite National Park stirs the soul of nature lovers, with its soaring granite walls, cascading waterfalls and majestic forests. Madera County is a great addition to a Yosemite visit with its fertile farmlands and vineyards. Don’t miss the Madera Wine Trail, featuring local wineries serving their highly acclaimed dessert, port-style and late-harvest wines, among others. If you’re going to Sequoia & Kings Canyon, visit the Fresno State Winery, the first university in the U.S. to have a fully licensed winery. You can enjoy tastings or buy the wine at the Fresno State Gibson Farmers Market where you will find a variety of award-winning offerings all harvested, created or grown by Fresno State students. The winery will be part of a 2012 Winemakers Dinner on August 25, featuring wines from several local wineries, dinner and dancing under the stars. Rising out of the chaparral-covered Gabilan Mountains is Pinnacles National Monument, the mighty remains of an ancient volcano with massive monoliths, spires, sheer-walled canyons and talus passages. This impressive park is just over an hour from Monterey County Wine Region and approximately 90 minutes from Paso Robles Wine Country, both wonderful scenic areas to explore, wine and dine. While in Monterey, which along with the nearby Santa Cruz Mountain Wine Region was also recognized in the Judgment of Paris, check out Fisherman’s Wharf and the nearby tony shops of Carmel-by-the-Sea, then head over to one of the area’s 85 wineries. If around on June 9, you’ll want to stop by the 8th Annual Art & Wine Festival in Carmel Village, featuring pourings by regional wineries of their latest vintages, local bands and family activities from pony rides to arts and crafts. If exploring the Paso Robles wine region, a hot spot for Rhône varietals and blends as well as many other grapes, don’t miss the charming downtown square or nearby Hearst Castle on the coast. If you’re visiting during the beautiful Indian Summer, don’t miss one of the area’s iconic wine and food events, Sunset Savor the Central Coast in San Luis Obispo County, Sept. 27-30. A stone’s throw from Santa Barbara Wine Country, Los Padres National Forest offers 1,257 miles of coastal and mountain trails which provide both day-use and extended backpacking opportunities. Celebrate a morning of hiking with a tasting or picnic at one of the area’s many wineries, immortalized in 2004 by the film “Sideways,” which celebrated the area’s signature Pinot Noir. On June 30, celebrate another popular area varietal at The Chardonnay Symposium, featuring seminars and samplings from more than 50 wineries, and paired gourmet foods provided by local restaurants and caterers. Viewed from the road, this desert park only hints at its vitality, with its beautiful Joshua trees. Closer examination reveals a fascinating variety of plants and animals that make their home in this land shaped by strong winds, unpredictable torrents of rain, and climatic extremes. Dark night skies for astronomy buffs, a rich cultural history, and surreal geologic features add to the attraction of this place. A visit to this park wouldn’t be complete without a visit to Temecula Wine Country, about 2.5 hours southwest. Tempered by coastal fog, this warm region is best known for its Italian and Rhône varieties—and its annual Balloon and Wine Festival, taking place this year June 1-3. A great way to sample the wines from this charming region is to check out the 3rd Annual Wine and Culinary Showcase, CRUSH on Sept. 15 during California Wine Month in September, featuring award-winning wines from 30 wineries. Singing sand dunes, volcanic cinder cones, Joshua tree forests, and carpets of wildflowers are all found at this 1.6 million-acre park. A visit to its canyons, mountains and mesas will reveal long-abandoned mines, homesteads, and rock-walled military outposts. A great way to round out the trip is to stop and stay on the way to Los Angeles in the Cucamonga Valley, one of the oldest regions in the state and known for its historic wineries specializing in Old Vine Zinfandels and port wines. A cool happening this summer is the Los Angeles Food & Wine event August 9-12, featuring incomparable tastes from 140 celebrity chefs and nearly 300 acclaimed wineries. Editor's note: Links to the websites of thousands of lodging and dining options near California's national parks can be found at Taste California Travel's Resource Directory. The sign out front reads “100 beers.” I've never made it an issue to demand a count. To me it doesn't matter as The Shack easily has the best selection of beers in town. It also has the most knowledgeable clientele. It's an unpretentious establishment, but not as down-market as the name might imply. Under an earlier ownership, it was known as “the Sub Shack,” so the current identity is an evolution. Friends who attended nearby Kit Carson Junior High in the 1950's remember hanging out at this same spot, though their drinks were likely root beers. Doc's Hot Dogs, as the place was known in those days, already had a long history in East Sacramento. It's reputed when Prohibition was repealed in 1933, California Governor “Sunny Jim” Rolph had his first legal glass of beer at Doc's. The patio has a beer garden atmosphere, though in a decidedly family and pet-friendly style. The servers are an agile lot, often stepping over and around kids and dogs. Younger children are offered pails of chalk and invited to indulge their artistic instincts on the concrete. Owner Gary Sleppy, a culinary school graduate, provides water bowls for his four-legged visitors and actually bakes dog biscuits for them. Really. I've seen him do it. Having some history as a wine and food writer, doesn't confer expertise in all beverages. I once sold specialty beers and imports to restaurants, but that world is much more complex now. When I drop in to The Shack I usually learn something. Sometimes from the boss and his staff. Sometimes from the servers or other customers. A few days ago I asked Gary if he would help me taste some beers. He and a few late-afternoon customers were seated on the patio. Of course I knew Gary and I also recognized Sean Montgomery, a home brewer, but wasn't familiar with any of the others at the big table. The beers are from Deschutes Brewery. My experience with them isn't extensive, but it does go back a while--about 15 years ago I enjoyed a couple of pints and a burger at their brewpub in Bend, Oregon. Since that time, the operation has grown and has enough distribution in California that all of my just-convened tasting panel are familiar with their products. Two of the beers are new--or at least recent--releases, Hop in the Dark and Twilight Summer Ale. Two others, a Hop Henge and a Stoic, had been plucked from the office wine rack and added to the canvas carrier I would take down to The Shack. Approaching our samples in a lighter-to-heavier sequence, we first pour tastes of Twilight Summer Ale. Its main label indicated contents are at 5% Alcohol by Volume (ABV). It also reads, “Down goes another brewing dogma. Select malts and a heavy dose of bold Amarillo hops deliver full-on flavor and crafted nuance in a spry summer style. Enjoy chilled as the days linger.” The neck label adds, “Grills on. Shoes off. Summer has its own rules. As luck would have it, it also has its own beer. Enjoy.” If these words are more hyperbolic than substantive, so be it. Anyway, the verbiage pales compared to the balderdash written on many wine labels. No harm done and, and always, the proof will be in the tasting. After a splendid start we move on to the Hop Henge I had grabbed before leaving the office. The tasters are silent for a couple of moments and I notice wrinkled noses on some faces. Gary says it has “a really weird malt profile. It's not my favorite.” Sean believes there is “a strong malt profile.” I look to the label and find that it is 8.5% ABV and “best by 4/25/12.” Well, we've missed its sell-by date by nearly a month and I not sure about the storage conditions. How much might these factors have affected the product? Well, we don't know for sure. Eben explains—mostly for my benefit, I suspect—that hops “can get lost. They don't age well. (Hop-based) beers are best fresh.” Since several of the tasters agreed earlier that they have enjoyed every different beer that they'd tasted from the brewery, we figure our Hop Henge experience is an aberration and that the product has likely suffered due to age or questionable storage conditions. Next we open Hop in the Dark. If not a brand-new release, it is very recent and we anticipate none of the issues that may have adversely affected the Hop Henge. This Hop in the Dark prompts Gary to comment, “Hops. I get Cascade--100%.” Sean notices coffee-like qualities. Cary Smith, who sells wine and beer for Wine Warehouse, says there is a clear presence of not just hops, but Cascadian hops, and continues to opine on the “two-parted representation of an IPA” in which “the hops take the forefront, followed by a malty, coffee-like (aspect).” She adds that Hop in the Dark “drinks like a port.” I'm not sure about this last comment, but if it means that this is something rich and worthy of being slowly savored, then I am in agreement. I ask her to clarify the Cascadian hops comment. What is the overriding characteristic that makes them distinguishable from other hops? After just a moment's hesitation she replies that Cascadian hops smell like marijuana. I put my nose back into the glass, then take a sip. Oh, yeah. Does it ever. It brings back pleasant memories, the most recent of which is a visit to a hop farm and dryer in Washington just a year earlier. At that time I had assumed that all varieties of hops had this almost overpowering aroma. Whatever the properties of this beer, it has inspired Gary to begin thinking of food. The ability to really dial in the pairing of foods with wines or beers, even among professionals, is rarer than you might imagine. Gary is one of those guys who “gets it” and it's fun to play this game with him. The Hop in the Dark has inspired him to suggest grilled flank steak with tomatillos . . . and maybe served with a chimichurri sauce, all of which sounds good to me. Sean pours while Cary checks the nose. Another bottle that had been sitting in the office for a while was labeled “Stoic.” No wrinkled noses after we open this one—only smiles. 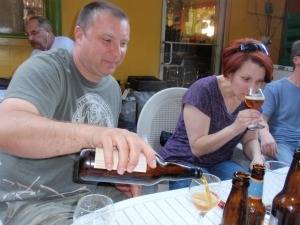 “Belgian yeast,” observes one taster. “A Belgian-style quad ale—stunning depth and complexity,” comments another. Someone chimes in with “pomegranate.” “Brett?” is offered by somebody else. The comments are coming quickly and from all around the table. I'm having trouble getting accurate attributions for the opinions of my fellow panelists while giving this pour my own due consideration. Gary gives his benediction (“Even though it's big, it has a delicate nature.”) and ruminates about another pairing; Thresher shark topped with ratatouille might work, and a variation on the theme involving spinach and goat cheese with shark or maybe monkfish placed on top seems to have even more potential. Someone poses the general question, “If you could have just one beer on a desert island, what would it be.” I begin mulling over some fairly mundane possibilities, but Sean has no hesitation. “The Magic Ghost,” he says. For him, it's the Holy Grail. The Ghost is made sporadically and in small quantities by Fantôme Brewery, which apparently is a one-man operation in Belgium. Sean has tasted it, but for all practical purposes, it's just unavailable. But what's it like, I ask? He replies that it's brewed “on a green tea base. It's very tart, very carbonated,” concluding “it absolutely has no flaw.” The look on Sean's face as he describes this ephemeral product tells me that if I ever come across it, I should be prepared to pay any price to sample its charms. And One More Try of the Twilight Plump mussels in green curry sauce. Two days later I discover one more bottle of the Twilight Summer Ale in my refrigerator and decide to try it in more private and contemplative circumstances. My notes indicate it “has a beautiful golden/amber color and a fruity, floral nose.” There is a long finish, which I find “a pleasant, lingering sensation.” It isn't long before I'm thinking what food I'd like the next time I encounter a bottle of Twilight. Cheeses with nutty flavor (but not added nuts) sounds good—maybe a good dry Swiss cheese would do. 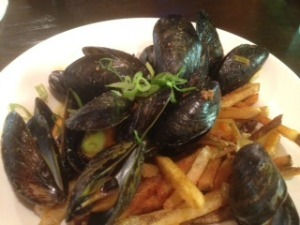 The beer is from Oregon, not Belgium, but mussels come to mind. I love mussels and usually prefer simple, traditional preparations, but in this case it's mussels in a green curry sauce that I want. Ryan, chef at The Shack, introduced me to his version on a recent Tuesday night. Yep, that might well be the perfect pairing.